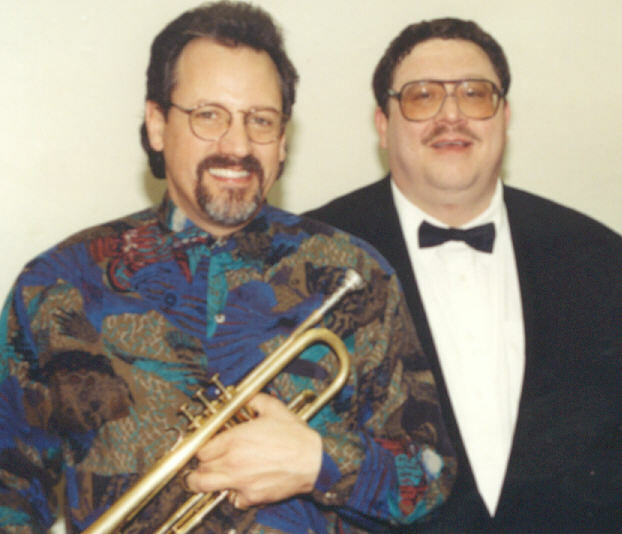 You are listening to a 2000 recording of Jeff Jarvis and Denis DiBlasio performing "Jumpin' Jivin' Joey" with the Lakewood Jazz Ensemble. At Music Spectacular "13" Jeff Jarvis came to Lakewood to perform with us at the Strand Theater. Being the CEO of "Kendor Jazz" Jeff had many great charts for us to learn.I featured his buddy Denny DiBlasio on a number of selections. As usual he wowed the audiences with his great cadenzas on flute and baritone sax.Nick Marchione wrote a trumpet feature on Cherokee that he shared with Jeff and Denny.Music Spectacular has a lot of great accomplishments but providing great players like Nick a venue to write and perform Jazz has been one of my greatest accomplishments.Also check out Nick performing Kentons "Send In the Clowns".